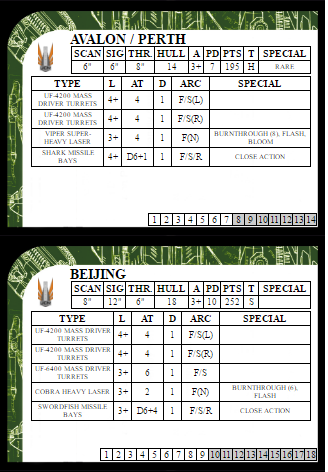 Working upon what I already did for Dropzone Commander, I produced some ship cards for Dropfleet on a similar template. 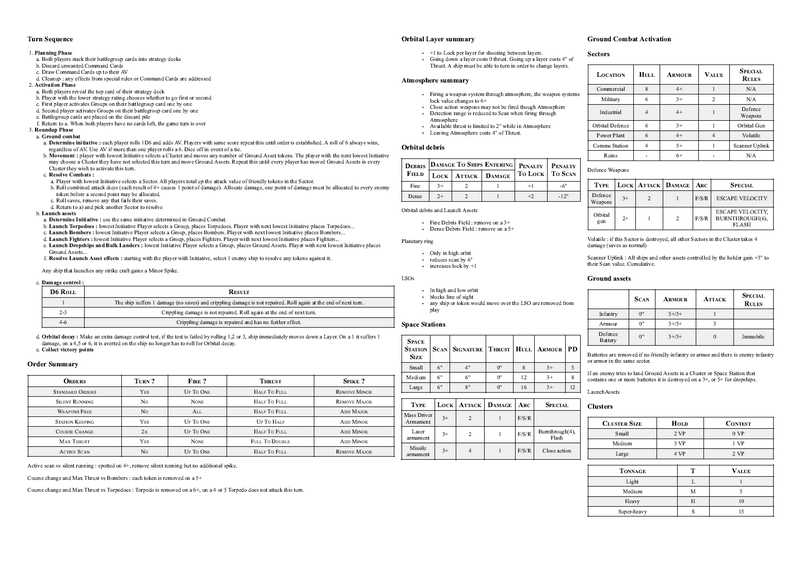 I also worked on some summary sheets by faction that have most of the important information on a recto/verso document. There is also a list of the special rules used by this faction with their effects (paraphrased from the rulebook). (and yes I already posted those on the facebook group to have some early comments to improve them). Last edited by Abrusio on Mon Sep 10, 2018 11:49 am, edited 2 times in total. I'm surprised to not see other comments on this. Just wanted to say these are awesome - great work! Very nice cards! Thank you for providing these references. I feel the quick reference sheets could use a little more work on the layout, but I know some people are going to very much appreciate them. 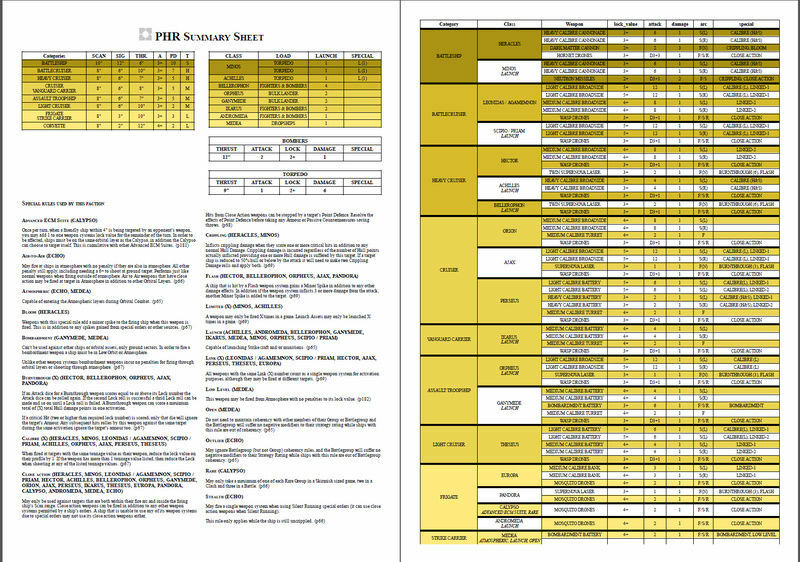 I updated the PHR summary sheet, the fighters were missing for some reason. I'll come back to work on them some more to improve the layout, but comments and suggestions are always welcome ! i'm gonna test these tonight! planning to make any battlegroup ones? Played my first game with these cards last night, and they were very useful! Thanks again. Thanks so much for the hard work on these!! I just printed a bunch of these and laminated them. I also made a few spike tokens and orbit tokens. I love that the bases have that information but found in many games it slows down when you fiddle with them. Instead i have the cards now with the tokens and just track stuff on that.